Thanksgiving is rather an epic eating marathon for my family. Sure, I think many folks could say the same but what differentiates our clan is that the menu is always a fusion of traditional Thanksgiving fare with delectable Vietnamese dishes. The best of both worlds in my opinion. But in all fairness, I was trying to load up for our impending Black Friday shenanigans. Which, for the record, was an 18-hour marathon of shopping….I’m totally not exaggerating. I definitely got my cardio in! For Thanksgiving, I ended up bringing two desserts. The first were mini Toasted Coconut Cupcakes with Coconut Cream Cheese Frosting. I had initially wanted to make a Coconut Cake but opted for mini cuppies so that we didn’t have to hassle with slicing up a layered cake. Plus the minis let people grab a bite of sweetness without feeling that extra guilt. A version of the recipe can be found here. 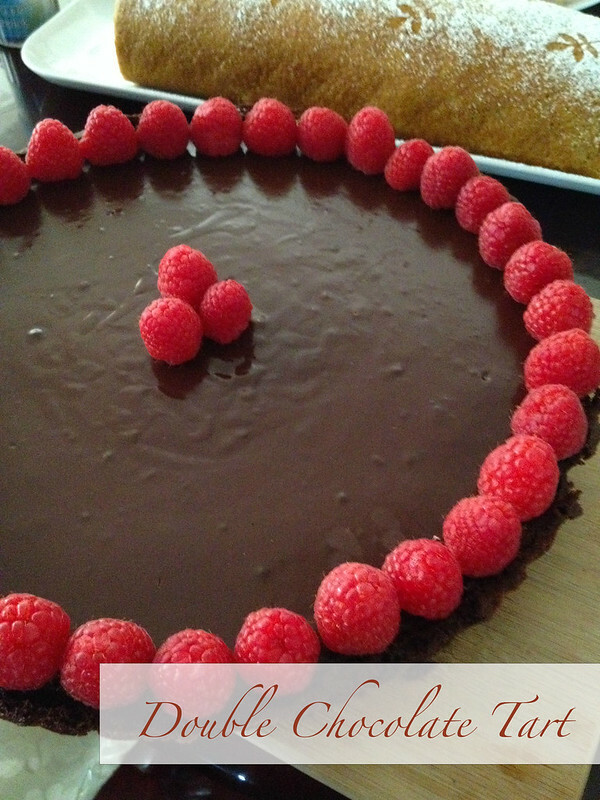 The second dessert I made was a Double Chocolate Tart that I topped with fresh raspberries. 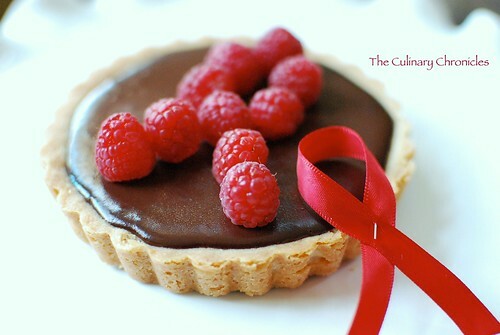 It’s a spin off of my original Chocolate Raspberry Tart. But since I’m a chocoholic, the old version just wouldn’t do so I added cocoa to the crust and then filled it with a truffle like ganache. Boom. And the truth is I actually hadn’t planned on posting this tart but I’ve received several requests for the recipe since I shared the pic on Facebook. So please excuse the grainy photo as I just quickly snapped a few photos with my phone that day. But I promise you, janky photo or not, the tart is just delish. It’s deeply rich and just a small slice will definitely fulfill any chocoholic’s needs. It also pairs wonderfully with a glass of deep, dry red wine or a cup of coffee. And guess what? Since you can make it the day before, it’s PERFECT for any Holiday entertaining you may be planning. Preheat oven to 325 degrees. Using cooking spray, grease a 10 inch tart pan. In a large bowl, sift together flour, cocoa powder, cornstarch, and salt. In a standing mixer, cream butter and sugar until light and fluffy. Add vanilla extract. Slowly begin incorporating in flour mixture a few spoonfuls at a time. When the dough begins to come together, transfer to the prepared tart pan and press dough into it. The dough will be quite soft. Prick the bottom of the dough all over with a fork and place in freezer for at least 10 minutes to let rest. Once chilled, line the tart with parchment paper and fill with pie weights or beans. Bake in oven for 12-15 minutes, until edges are lightly set. Carefully remove the parchment paper from the pie and place back in the oven for 5-10 minutes until center of tart is firm. Remove from oven and place on cooling rack. Using a double boiler, heat the cream until it’s very hot but not boiling. Remove from stove and add the chocolate. Gently stir the mixture until all the chocolate is melted and smooth. You should have a beautiful glossy mixture when finished. Pour the chocolate filling into the thoroughly cooled baked crusts. Carefully tap the side of the pan to even out the filling. Leave tart on the counter to cool (about 30 minutes) and then move to the refrigerator to chill for an additional 2 or 3 hours. The filling should be firm when done. 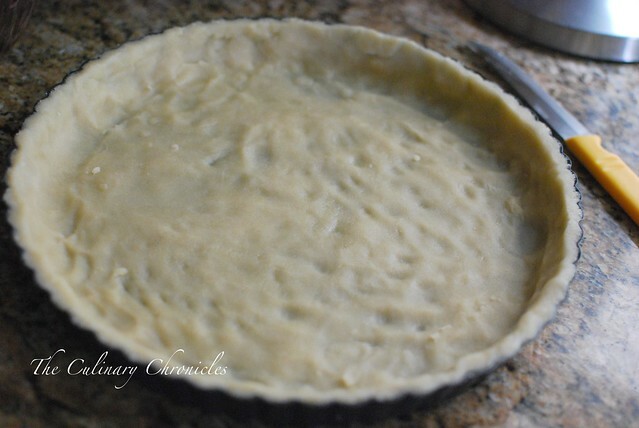 Remove the tart from refrigerator and carefully slide out the outer pan ring. 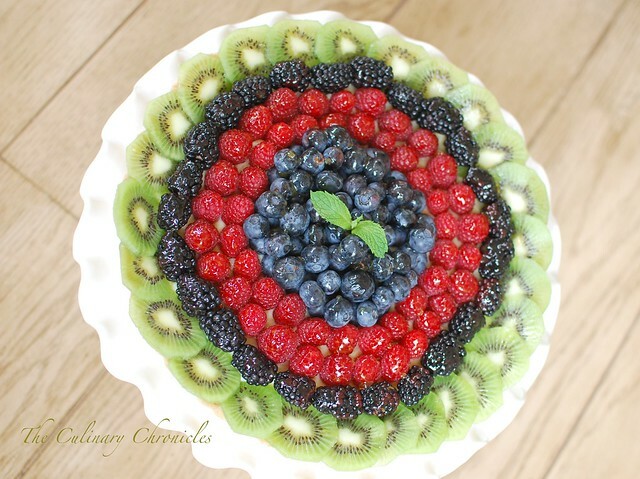 Transfer tart to serving platter and garnish with raspberries. ENJOY! The Tết Festivities (Lunar New Year) has finally come to a close. And so far, the Year of the Dragon isn’t looking too bad at all. I’ve eaten a ton of yummy food, my home is spankin’ clean, work hasn’t been a hot mess, and I even found money in the pocket of one of my coats I haven’t worn in awhile. Score! Ok, let me revise that. The BEST thing this week is that I get to meet my brand new nephew, Leonidas (Leo), tomorrow! He’s so adorable and CHUBBY! Of course, pictures are to come. Over the weekend, the clan got together at my auntie’s home for Tết. We ate, drank, gambled, gave/received lì xì (lucky money), and had a good ol’ time with the peeps. I had struggled for some time thinking what I should bring to the party as my aunties and sis would be covering the Vietnamese dishes. Vietnamese desserts aren’t really my specialty so after much mulling around, I decided to whip up a few Chocolate Tarts. I know…not the least bit Vietnamese or even Asian for that fact but I was pretty sure the fam wouldn’t complain. For the recipe and cute video tutorial, check out Dulce Delight. I’ve got two quick tips should you try this little number out… … First, after you bake the tart you may freak out a bit if the filling looks a bit grainy or bubbly. I know, cause I totally did! But don’t worry, once it cools, it all settles and the gorgeous honey-ganache glaze covers any imperfections. And second, although the flavor of the crust was divine, mine was really crumbly. I’d recommend throwing in another tablespoon of butter to the party. I served the tart with fresh whipped cream and it was bliss. The tart itself is like a rich, decadent truffle and the hazelnut crusts added a great crunch and flavor—kind of like a Ferrero Rochers. Mmmm…I love those. For some time now I’ve remarked about the truly amazing community amongst food writers and bloggers. In the short time I’ve joined this special “fraternity”, I’ve experienced and witnessed such open support, generosity, collegiality, and celebration. Quite extraordinary considering the majority of us will never have the opportunity to meet face to face. But through the shared love of food and stories (which, really….are inseparable) we have created somewhat of a food society. We revel and congratulate each others successes and reach out to support each other during times of challenge and pain. And the latter was so greatly experienced nearly 2 weeks ago when Jennifer Perillo of In Jennie’s Kitchen suddenly and tragically lost her husband. I met Jennifer for but a moment in Chicago earlier this summer at the Wilton Food Blogger Workshop. It was such a quick, jammed packed weekend that I didn’t get the chance to get to know her but quickly added her on Twitter when I got back home to San Diego. Her writing is so inspiring and quick-witted that it didn’t take me long to become a big fan of hers. So when I heard the news, my heart just broke. No –I don’t really know Jennifer. But through her writing she became a kindred spirit and I was overcome with sadness for her and her little ones. In a heartbeat, the food community from all over the world came together to envelope Jennifer with love and support. 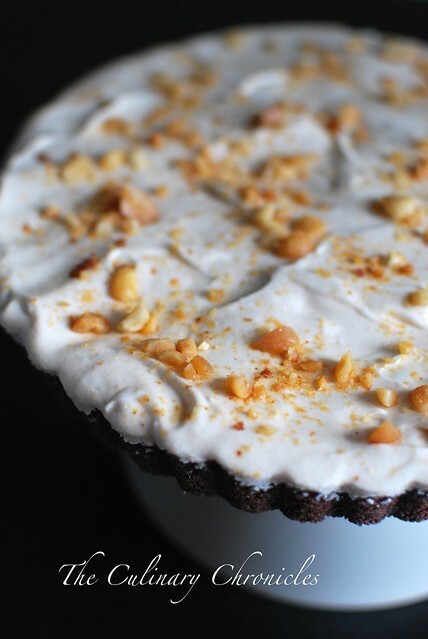 When asked what people could do to help her, she answered by asking us to make a peanut butter pie (her husband Mikey’s favorite) to share it with our loved ones. And for the rest of my Family and Friends— for being exactly who they are. Entertaining, hilarious, adventurous, and above all–loving. Thank you Jennifer, for reminding me to take time out to appreciate and acknowledge my loved-ones. Here’s a big virtual hug to you. Stir in 1/3 of the whipped cream into the filling mixture (helps lighten the batter, making it easier to fold in the remaining whipped cream). Fold in the remaining whipped cream. Pour the filling into the prepared pan. Sprinkle the tops with remaining peanuts and refrigerate for three hours or overnight before serving. My cousin, T, recently graduated from optometry school. And to be honest, it kind of trips me out. I still remember him following me and his sister around when he was a kid and now he’s all grown up and taking care of people’s eyeballs. For T’s graduation party, I gave him a few options of desserts to choose from for me to make. 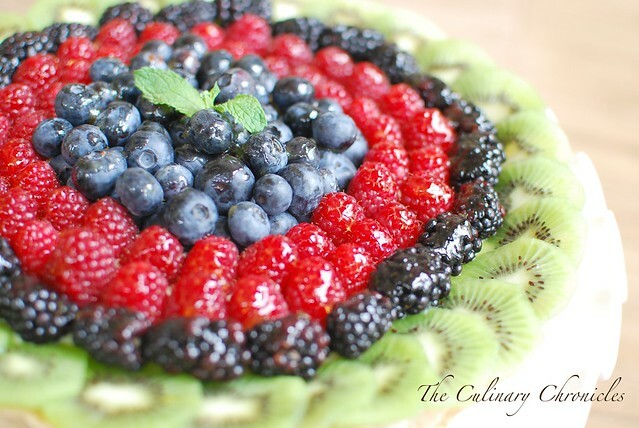 He chose a fruit tart which worked out great for me since I had been wanting to try out this pastry cream recipe for some time now. It came together beautifully—silky, rich, and delicious. And since it’s so easy to pull together, I turned to Alice Medrich’s recipe for a shortbread-like tart crust. Buttery goodness! Prepare the pastry cream. Bring the half-and-half, 6 tablespoons of the sugar, and the salt to a simmer in a medium saucepan over medium high heat, stirring occasionally. As the half-and-half mixture begins to simmer, whisk the egg yolks, cornstarch, and remaining 2 tablespoons of sugar together in a medium bowl until smooth. Slowly whisk about 1 cup of the simmering half-and-half mixture into the yolks to temper, then slowly whisk the tempered yolks back into the simmering saucepan. Reduce the heat to medium and cook, whisking vigorously, until the mixture is thickened and a few bubbles burst on the surface, about 30 seconds. Off the heat, stir in the butter and vanilla. Transfer the mixture to a medium bowl, lay a sheet of plastic wrap directly on the surface, and refrigerate the pastry cream until chilled and firm, about 3 hours. While the pastry cream chills, repare the crust. Position a rack in the lower third of the oven and preheat the oven to 350°F. Mix the butter, sugar, salt, and vanilla in a medium bowl with a fork. Add the flour and mix just until well blended with a pastry blender or a large fork. Don’t worry if the dough seems too soft. Press all of the dough very thinly and evenly into the sides and bottom of an 10-inch tart pan. If it seems like the butter is getting too oily and it’s becoming difficult to manipulate the dough, simply put it in the fridge for a few minutes, it’ll become easier to handle. Using a fork, prick the dough all over the bottom and sides. Place a large piece of parchment paper on top of dough and fill with pie weights or dry beans. Press weights to the edges of dough and bake in the oven for 15 minutes. Remove parchment and weights and continue baking until deeply golden in color, approximately 10 minutes longer. Remove from oven and place on cooling rack. To assemble, spread the chilled pastry cream evenly over the bottom of the cooled tart shell. Shingle the kiwis around the edge, then a row of blackberries, then raspberries, and finally pile the blueberries in the center. Melt the jelly in a small saucepan over medium-high heat, stirring occasionally to smooth out any lumps. Using a pastry brush, dab the melted jelly over the fruit. Enjoy! We managed to bring home 6 pounds of gorgeous strawberries that we picked fresh from our day at Tanaka Farms. Because they were perfectly ripe, the berries were a lovely shade of red and utterly sweet and juicy. I knew we’d polish off a good amount of them just as they were. But since each of us ate our bellies full of the berries at the farm, I wanted to make a few desserts to utilize the rest before they spoiled. It didn’t take too long for us to decide that a fresh strawberry pie would fit the bill perfectly! 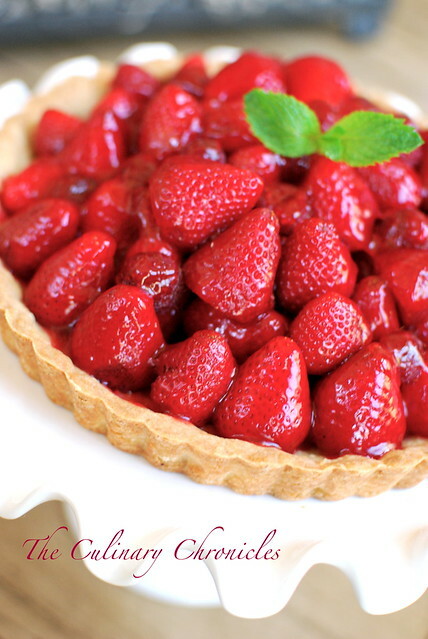 I had initially wanted to make a pie just like the ones we used to order from Marie Callendar’s that were piled high with whole strawberries and glistened with a bright red glaze. 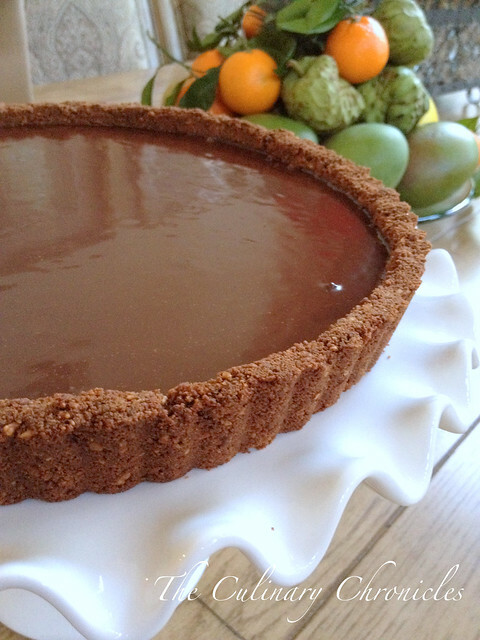 But my sis, P, suggested I try out Alice Medrich’s shortbread tart crust. It’s one of her “go to” recipes because the flavor is stellar and it’s super quick and easy to pull together. I followed her advice and our fresh strawberry pie turned into a fabulous fresh strawberry tart with a buttery shortbread crust. 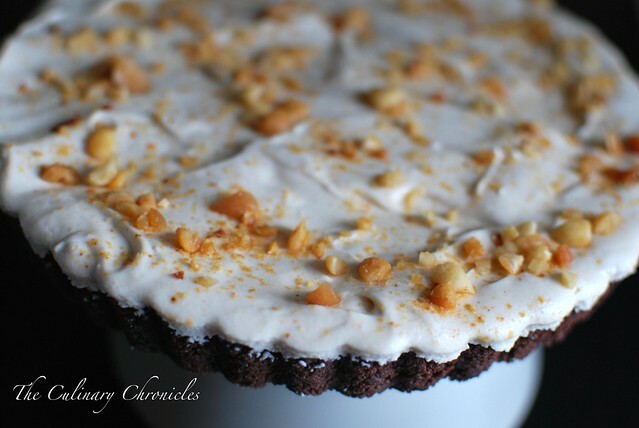 If you’ve never tried Alice Medrich’s tart crust before, you simply MUST! It comes together so quick due to the fact that it uses melted butter and you don’t need to roll out the dough. 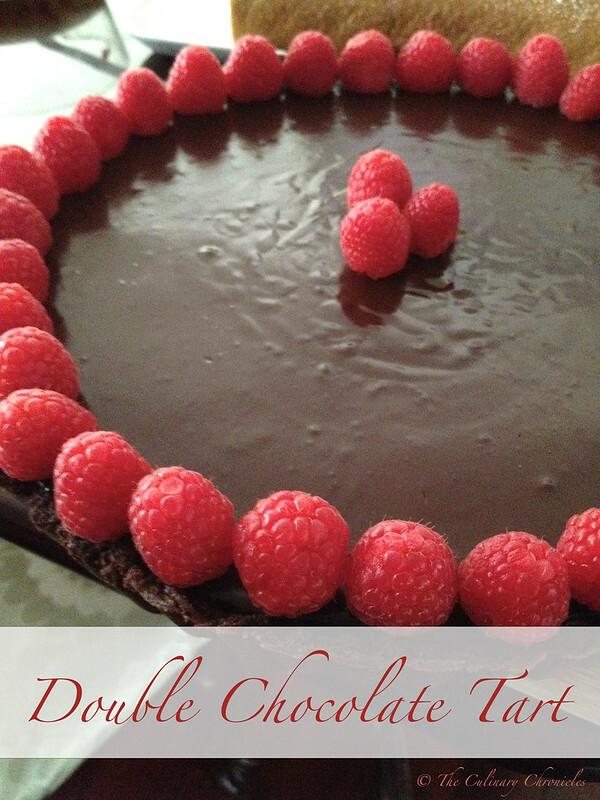 If you read the recipe below, you’ll notice that I also used some fresh raspberries in the tart. Normally I wouldn’t have but I somehow used up so many of the berries in our other strawberry dessert that I needed something extra to fill in the spaces. However, it’s completely up to you if you’d like to add them or not. I took the extra step of individually dipping each strawberry into the glaze before placing them into the crust. 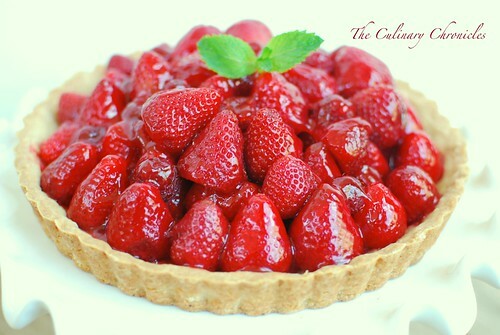 Most recipes will toss the strawberries in the glaze and then pour all the contents into the crust. This can often result in way too much glaze and the end result can be overly sweet and goopy. 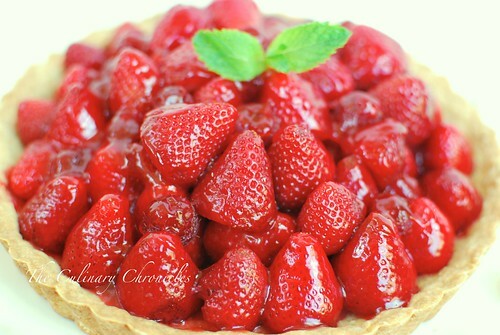 It definitely was unnecessary for our tart since our strawberries were so naturally sweet. So although the extra step may seem a bit much, it’s really worth it. Prepare the crust. Position a rack in the lower third of the oven and preheat the oven to 350°F. Mix the butter, sugar, salt, and vanilla in a medium bowl with a fork. Add the flour and mix just until well blended with a pastry blender or a large fork. Don’t worry if the dough seems too soft. Press all of the dough very thinly and evenly into the sides and bottom of an 8-inch tart pan. If it seems like the butter is getting too oily and it’s becoming difficult to manipulate the dough, simply put it in the fridge for a few minutes, it’ll become easier to handle. Using a fork, prick the dough all over the bottom and sides. Place a large piece of parchment paper on top of dough and fill with pie weights or dry beans. Press weights to the edges of dough and bake in the oven for 15 minutes. Remove parchment and weights and continue baking until deeply golden in color, approximately 10 minutes longer. Remove from oven and place on cooling rack. While the crust is cooling, prepare the filling. Mix together the sugar, gelatin, and cornstarch. Bring water to a boil in a saucepan. Whisk in the dry ingredients and cook until the mixture thickens. Remove from heat and cool to room temperature. Dip each strawberry into the glaze and arrange them in the crust. Dip each raspberry and arrange them in between the strawberries. Chill the tart for at least 2 hours before serving. December 1st is World AIDS Day—an international day that aims to “raise awareness, commemorate those who have passed on, and celebrate victories such as increased access to treatment and prevention services”. The theme for World AIDS Day 2010 is “Universal Access and Human Rights”. Beautiful, poignant, and to the point….don’t you think? 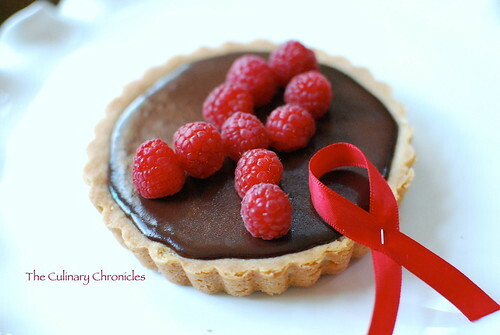 So to honor World AIDS Day 2010, I made individual Chocolate Raspberry Tarts –equipped with raspberry red ribbons! And although I am almost positive these delicious tarts will be finished by the end of the day, advocacy and awareness of HIV and AIDS should not. Together, We can Educate, Advocate, and Act. In a large bowl, sift together flour, cornstarch, and salt. In a standing mixer, cream butter and sugar until light and fluffy. Add vanilla extract. Slowly begin incorporating in flour mixture a few spoonfuls at a time. When the dough begins to come together, transfer to the prepared tart pan and press dough into it. Prick the bottom of the dough all over with a fork and place in freezer for at least 10 minutes to let rest. Once chilled, line the tart with parchment paper and fill with pie weights or beans. Bake in oven for 10-15 minutes, until edges are lightly golden brown and set. Carefully remove the parchment paper from the pie and place back in the oven for 5-10 minutes until center of tart is golden brown. Remove from oven and place on cooling rack. Using a double boiler, heat the cream until it’s very hot but not boiling. Remove from stove and add the chocolate. Gently stir the mixture until all the chocolate is melted and combined. Add Framboise (or raspberry extract) and stir until combined. You should have a beautiful glossy mixture when finished. Pour chocolate filling into the thoroughly cooled baked crusts. Carefully tap the side of the pan to even out the filling. Leave tart on the counter to cool (about 30 minutes) and then move to the refrigerator to chill for an additional 2 or 3 hours. The filling should be firm when done.